H ere is lovely display cabinet - bookcase. The door opens to reveal adjustable shelving. Lovely colour to the wood. 250cm tall. A very nice big bureau/bookcase. Not sure of age. Possibly early Victorian. 120cm wide. Baltia furniture will bring a touch of old colonial elegance to any room. This delightful furniture is constructed from Premium Solid Pine with Ash Veneered inset panels, embellished with antique metal drop handles. Each item has inlay sides and beautifully curved routed tops to give this range a unique and standout finish. The finish is created by applying several coats of dark lacquer by hand to build a rich patina. Baltia is hand crafted so no two pieces are ever identical, a hallmark of our “premium solid wood” collection which guarantees to last the test of time. .
Cotswold Pine 3 shelf Display Cupboard Bookcase In Wax or Grey Wash. 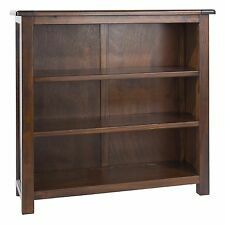 This solid quality built pine tall bookcase has 3 well spacious shelves. Enjoy a clutter-free dining, living or bedroom quarter by storing essentials in this 3 shelf bookcase. 6 x 283mm brackets 8mmx 40mm steel.Rustic Brackets. *scaffold board brackets. 4 FILING DRAWERS WITH WORKING LOCKS (keys provided). POLISHED IN A SHERATON MAHOGANY SHADE. NO FANCY BACKGROUND DISPLAY'S OR SOFT PHOTOGRAPHY JUST HONEST CLEAN FURNITURE WITHOUT ALL THE JARGON. FLARED FULL BOX PLINTH. Mirrored top half with two glass shelves and glass fronted door. Solid bottom half with adjustable shelf and door. Here we have a lovely inlaidCorner Unit/Display Cabinet/Bookcase in a traditional Antique style finish. Boston Tall Bookcase in Pine. With Dark Tinted Lacquer. Cabinet Bookshelf Egyptian Style Tutankhamun Hieroglyphs. Bookshelf Visible. 2 Columns and 3 Glass Shelves, Rack Storage Stand. Thickness of glass shelves: 6 mm - 0.24 "(approx). in the color: Ivory / Cream / Gold / Multi. Originally supplied by Jensen, this item is well made and of good even colour. The only obvious sign of prior use is seen on the shelf edge in the image that hi lights the drawer. Life Size Egyptian Sarcophagus CD/DVD Cabinet Bookcase Shelved unit. Egyptian Sarcophagus CD/DVD Cabinet will give you an impression of it as just an antique piece of furniture. Impressively detailed life size quality piece of furniture, made from resin and wood composite. All Sizes 2 x scaffolding board brackets. *Rustic Hand made . *scaffold boad. • Large central cupboard. • This is quite old Pine and has worn beautifully. Imported from South Africa. Beautiful mahogany piece. A beautifully detailed country style solid wooden bookcase with a ladder and a natural finish. Provides ample space for storing books and adds a classic touch with the ladder. Large wooden antique natural finish bookcase with ladder. Could be used in a kitchen, bathroom or hallway. rare antique shelf unit on turned supports and period castors. nice usable shelf unit with age related wear. We are located in Helston Cornwall TR13 8UG. Boston Dark Pine Low Bookcase. Bedroom Furniture. Bedroom Furniture. Solid pine, durable and fantastic value. Boston furniture will bring a touch of old colonial elegance to any room. Side panels are made of 9mm Ash veneered plywood with drawer backs and bases made from 3.6mm plywood. All Isle of Wight. The Capri range of bedroom furniture is one of our most popular collections. Chiefly comprising white furniture finished with a darker top layer, these pieces are effortlessly sophisticated and versatile. 4 shelf capacity. D E L A U R E N T I N O ARE COMMITTED TO FARE PRICING AND DESIGNING OR SOURCING, WHERE POSSIBLE. 4 draws and 4 cubard spaces. Material: White Cedar Wood. Solid pine. Suitable for bunk beds Made in the UK, Height 14cm (5.5") Open coil sprung mattress, with a hard wearing stitch bond quilted cover, ideally suited for children's beds. Conforms to British standards. 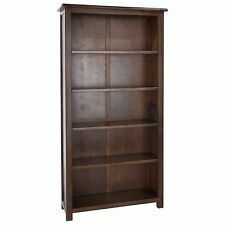 Boston Dark Pine Tall 5 Shelf Bookcase. Living Room, Office Furniture. Solid pine, durable and fantastic value. Boston furniture will bring a touch of old colonial elegance to any room. Side panels are made of 9mm Ash veneered plywood with drawer backs and bases made from 3.6mm plywood. The furniture is made of oak wood which makes them stable and durable. Stylish and functional Cabinet ideally suits to any salon. The Cabinet has a glass door, under which there is a capacious drawer. Bracket EKBY HÅLL. Reversible – fits both 19 and 28 cm deep shelves. Depth: 18 cm. Height: 24 cm. Width: 18 cm. Length: 24 cm. Width: 3 cm. Height: 3 cm. Produktart Box. Produktart Bücherregal. Produktart Aufbewahrungseinheit. EAN 3700462466532. Material Struktur aus Paulownia-Holz- Körbe aus geflochtene. Farbe Weiß/grau. Stil Antik-Stil. Marke Hayrets. Shelf Size: 80cm length x 20cm deep x 1.8cm thick. Design: Unique Rustic Stained Wooden Shelf. Material: Lithuanian Pine Wood. Quantity: One shelf, with two flat bar brackets. Bracket Size: 20.3cm height x 20.3cm deep. 41 cm width 49cm high 17 cm deep. Breite (cm) 41. Höhe (cm) 49. Tiefe (cm) 17. you can also hang. Designklassiker Aktuelles Design. Verarbeitung Lackiert. (1 week longer). Produktart Bücherregal. EAN 4062292020605. Breite 144 cm. Besonderheiten Glas. Tiefe 42 cm. Anzahl der Regalfächer 3. Material Kunststoff/Stuck.